We are excited to inform you that the BJF took part of the VII World Conference on Ecological Restoration, hosted by the Society for Ecological Restoration (SER). 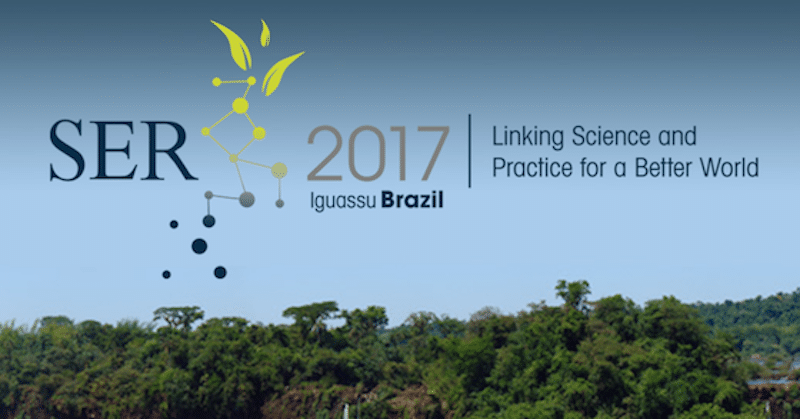 This congress was held from August 27th to September 1st in Foz do Iguaçu, Brazil, and received over 1,000 delegates from all over the world to share their projects and experiences on ecological restoration. BJF’s Team present at the congress was composed of Caspar Burn, Ben Valks, Guilherme Fleury and Ivan Nisida. We are keen to share the results of our participation at the SER 2017 soon enough!